To call me a Bob Dylan fan would be a gross overstatement. I don't like the guy for a number of reasons, but I do admire his songwriting skill - especially as a fan of the "slice-of-life" style. 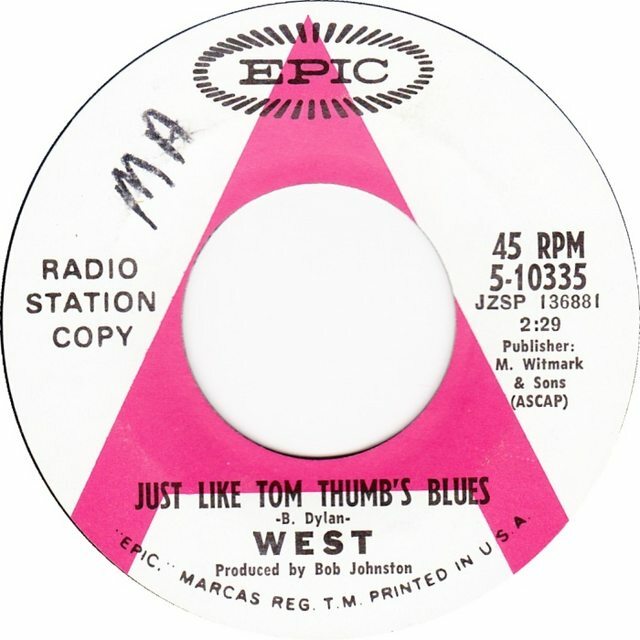 Here's a cover of "Just Like Tom Thumb's Blues" by the band West, from (predictably) the West coast. The whole album appears to be worth a listen - here's a quick writeup about it.